The Ténéré can trace its roots back to the launch of XT500 enduro-adventure bike in 1976. With its strong torque and compact chassis, this versatile single cylinder 4-stroke became an instant success. In many countries throughout Europe the XT500 was Yamaha's best-selling model during the late 1970s - with over 60,000 sold in France alone during its 14 year production run. Its go-anywhere ability, rugged design and outstanding reliability opened up a new world of adventure to many motorcycle riders - and these same qualities made it the ideal choice for competitors in the first Paris-Dakar Rally that was won by Frenchman Cyril Neveu on a Yamaha XT500. Quickly establishing a reputation as the toughest desert rally bike, the XT500 became the default model for adventure seeking riders and rally racers alike, and today it is considered to be one of the most significant and iconic motorcycles of the late 20th century, with active owners clubs throughout the world. By the end of the 1970s the XT had achieved legendary status amongst Europe's riders, and in 1983 Yamaha introduced the XT600Z that became the company's first Adventure bike to carry the Ténéré name - a Tuareg word meaning 'desert' or 'wilderness'. At this time the Ténéré line-up was constantly evolving and growing, and the end of the 1980s saw the introduction of the 2-cylinder XTZ750 Super Ténéré, followed in the early 1990s by the single cylinder XTZ660 Ténéré. 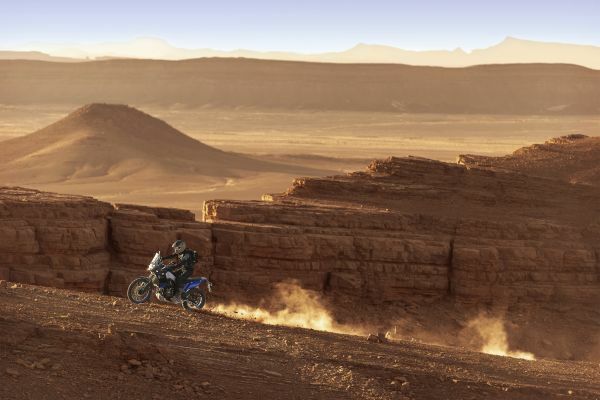 During this period the Yamaha Adventure range went on to win many more Dakar Rally events - with Frenchman Stéphane Peterhansel claiming 6 victories on his XTZ750-based factory Yamaha in the 1990s. Today's Yamaha Adventure range features the sophisticated XT1200Z and XT1200ZE Super Ténéré models that were introduced in 2010, as well as the exclusive high specification XT1200ZE Raid Edition. The first sign that Yamaha was developing a new Adventure bike came with the launch of the T7 concept in 2016. Displayed at motorcycle shows all over the world, it created immense interest and gave riders a taste of what was to come - and in 2017 Yamaha introduced the Ténéré 700 World Raid prototype that was one step closer to the final production specification. Since 2017 the Ténéré 700 World Raid prototype has undergone an intensive world tour in various key locations all over the globe, and during this development phase the bike has been subjected to the most extreme testing in hostile terrain and severe climatic conditions. Piloted by a team of professional riders including multi Dakar winner Stéphane Peterhansel and Official Yamalube Yamaha Rally Team riders such as Adrien van Beveren and Rodney Faggoter, the World Raid prototype has been pushed to its limits across the globe, from Australia's unforgiving outback through to the brutal South American deserts. At the same time as putting thousands of hours on the development bikes, the Ténéré 700 World Raid programme has also showcased the design to many hundreds of local riders who have been invited to give Yamaha their valuable input and help shape the final production model. With a spirit of adventure embedded within its DNA, every Yamaha Adventure bike is rugged, tough and reliable. 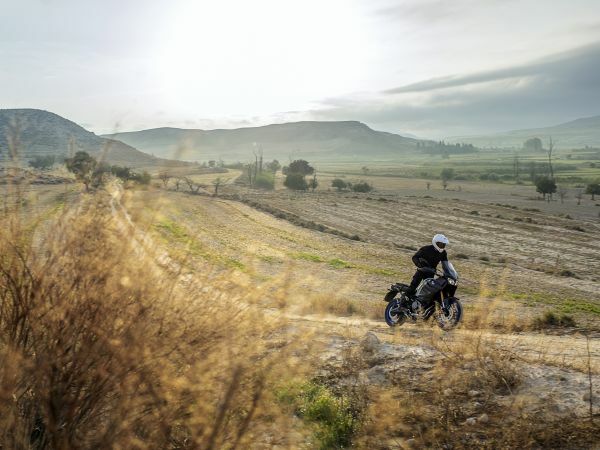 Each Ténéré model in the Adventure segment will open up the possibilities of endless travel, and enable its rider to discover a feeling of utter freedom. The only limit is within rider's imagination. The Next Horizon is Yours. Yamaha's in-depth off road expertise and outstanding track record are beyond doubt. Now the time has come to re-establish Yamaha as a leading force in the Adventure segment with the introduction of the all-new Ténéré 700 - a lightweight no compromise Adventure model with one of the highest specifications in its class, and one of the most exciting and significant new Adventure models to be launched for many years. Equipped with the successful CP2 698cc parallel-twin engine and a completely new chassis, the Ténéré 700 is designed to deliver class-leading handling and agility in the dirt - combined with high speed long distance performance on the road - making it an extremely capable and versatile Adventure bike. Yamaha has revolutionised the motorcycle world with the development of the crossplane philosophy engines that power a range of the company's best-selling models and the new Ténéré 700 is equipped with the highly respected 689cc parallel-twin engine. The key characteristic of this compact CP2 engine is its strong and linear torque output that gives instant throttle response together with outstanding acceleration - attributes that make it a capable and versatile performer on and off the road. Producing maximum torque at 6,500rpm, this engine offers the ideal balance of performance and controllability - and with its excellent fuel economy, it contributes towards the Ténéré 700's ability to cover long distances between fuel stops. Featuring a compact 1,590mm wheelbase and a slim body, this rugged chassis delivers responsive handling characteristics, and with 240mm of ground clearance the Ténéré 700 is designed to keep its rider out of trouble over the roughest terrain. The ability to shift your body weight forwards and rearwards to suit the terrain ahead is crucial when you want to maintain full control in off road riding situations, and so the Ténéré 700 is equipped with a flat 880mm high seat and slim body that allows maximum rider agility. The compact bodywork and narrow fuel tank also enable you to grip the tank with the knees whether sitting or standing, giving added confidence and control in every situation, whether you're riding on dirt or asphalt. Featuring a lightweight aluminium swingarm for low unsprung weight, this high specification rear end offers 200mm of travel which, like the front suspension system, is designed to be able to handle the most severe off road riding conditions as well as giving a comfortable ride on the road. Another significant feature is the remote adjuster that lets you fine tune the preload settings while you're on the go, making it quick and easy to dial in the shock to suit the riding conditions. Throughout the development of this new generation Adventure bike, Yamaha's key goal was to ensure that the Ténéré 700 would deliver class leading off road performance together with outstanding on-road abilities and offer a genuine long range potential. The slim design of the fuel tank belies its 16-litre capacity, and its narrow rear section offers plenty of rider mobility and excellent knee grip. Whether you're sitting down or standing up, the compact dimensions of this long-range fuel tank enable you to shift your weight around effortlessly - and thanks to the excellent economy of the 2-cylinder engine, 16-litres of fuel will give a potential riding range of over 350km which gives the new Ténéré 700 a high level of year-round all-terrain versatility. Another example of how the new Ténéré 700 has been developed using rally-bred technology can be seen with the compact rally style instruments. Located centrally behind the screen for great visibility, this lightweight instrument panel displays a wide range of information that can be absorbed without having to take your eyes off the road or track. The multi-function LCD display features comprehensive information including gear position, fuel level, two trip meters and estimated fuel range, as well as average and instant fuel consumption and more. The braking system consists of dual 282mm wave front discs and a 245mm wave rear disc that gives high levels of stopping power with plenty of feel at all speeds on the highway or in the dirt. When you're riding off road you have the option to temporarily disable the ABS whenever required by activating the kill switch while stationary. With the ABS turned off you can take full manual control, and in particular you can choose to lock the rear wheel deliberately in certain situations - such as very tight turns or on steep descents. 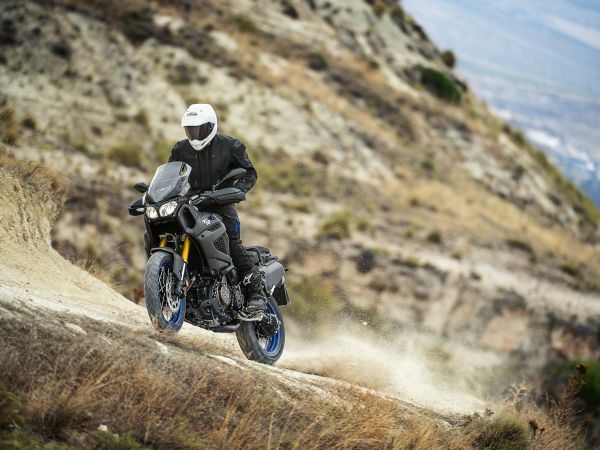 The new Ténéré 700 will be available in the second half of 2019 at Yamaha dealers across Europe. Yamaha has developed a full range of Genuine Accessories that enable customers to build their very own Ténéré 700 with a look, feel and specification that matches their unique character and the way they use your bike. Full details will be released at the world press launch. The MyGarage app is the best way for customers to build their dream collection of Yamaha motorcycles - and it's totally free! By downloading the free app anyone can start creating their very own personalized Yamaha. MyGarage enables customers to add or remove a wide range of Genuine Options accessories and view the bike from any angle. Once a dream bike has been created it can be saved and shared with friends - and once a final decision is made on the ideal specification, it can be sent to the local Yamaha dealer who will turn it into reality. Full details of the new Yamaha Adventure Collection will be released at the world press launch. For 2019 the XT1200Z and XT1200ZE will be available in a new Ceramic Ice colour option that sharpens their rugged looks. Equipped with 74-litre side cases, a high screen and fog lamps, the exclusive XT1200ZE Raid Edition is continued for 2019. The new BMW R 1250 R, the new BMW R 1250 RS and the new BMW R 1250 GS Adventure. 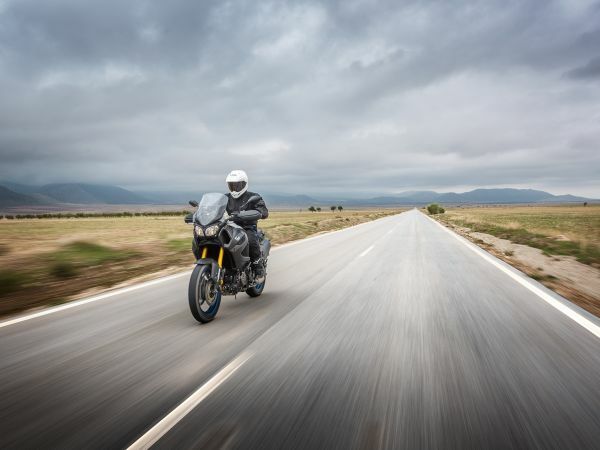 BMW Motorrad model revision measures for model year 2019. Urban mobility, re-thought: the BMW Motorrad Concept Link. BMW Motorrad achieves its sixth all-time sales high in succession in 2016. The new BMW R nineT and R nineT Urban G/S. The most exclusive BMW motorcycle of all time: the BMW HP4 RACE. BMW Motorrad presents the new BMW K 1600 GTL. The new BMW R 1200 GS. BMW Motorrad is offering a motorcycle eCall system for the first time.